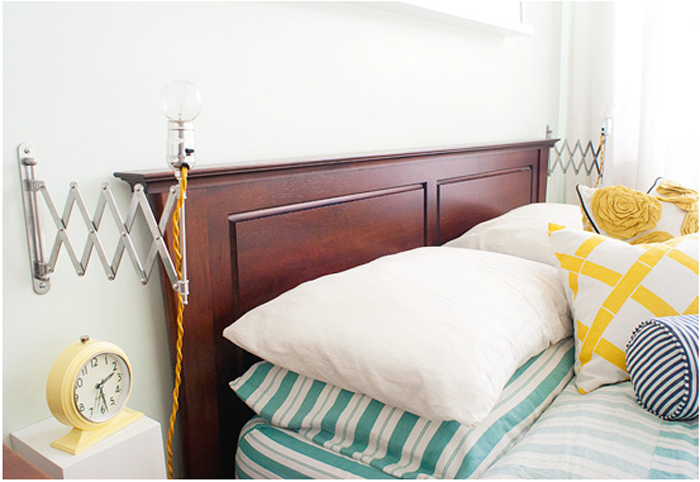 10 IKEA Hacks to Bookmark! You know when you buy a volkswagen and all you see are volkswagens? Well, that's how I'm feeling lately with IKEA hacks, I keep running into them. And I have to say, people are getting rather pro too! 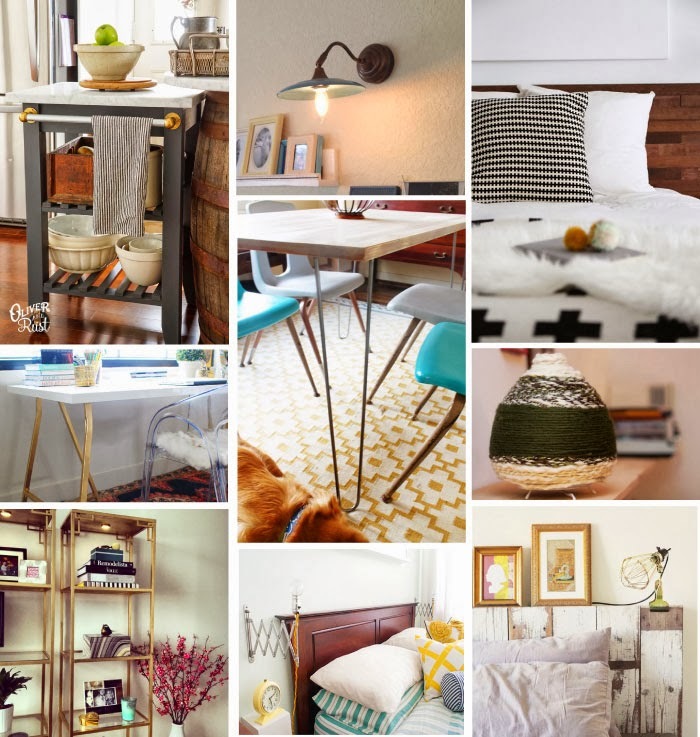 Check out some latest finds, all worth bookmarking for inspiration! 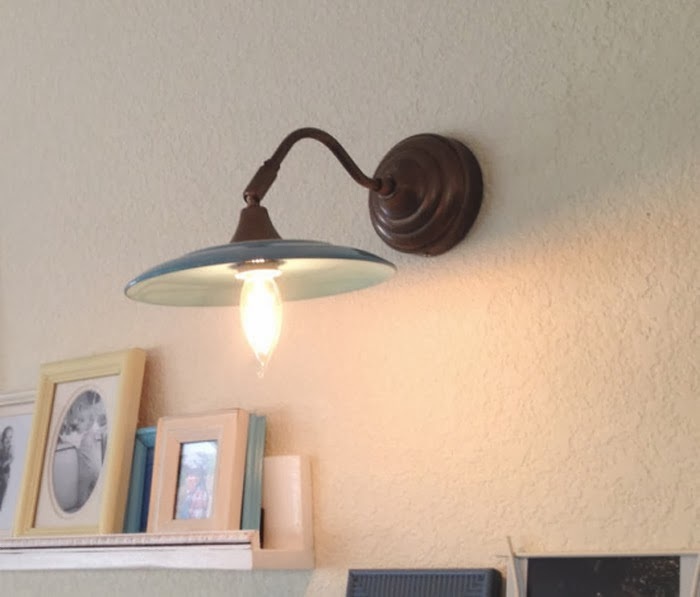 Using an ÅRSTID wall lamp and FÄRGRIK ceramic plate make this budget-friendly antique looking barn light. Get the how-to here. 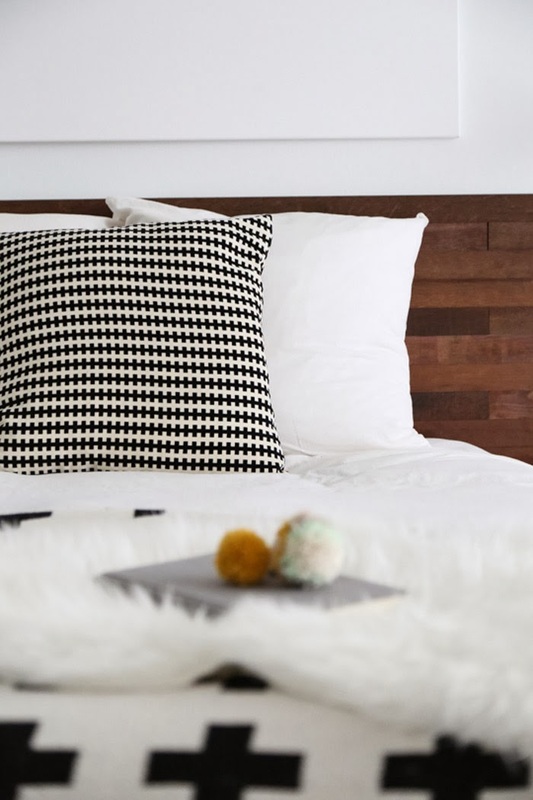 An IKEA Malm headboard gets a makeover using Stikwood (reclaimed wood that’s already finished and with adhesive backing on it). From Sugar and Cloth. 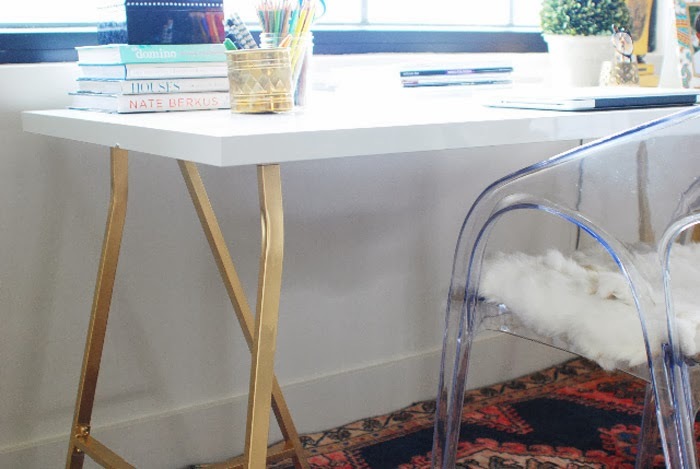 Spray painting the legs of a VIKA AMON desk makes for a nice update. From White + Gold. 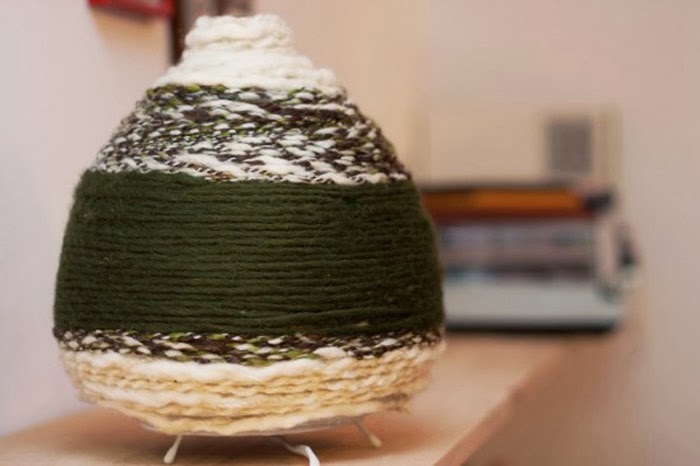 A Varte lamp is decorated with a bit of yarn to give it a more handmade custom look. From Ikea Hackers. 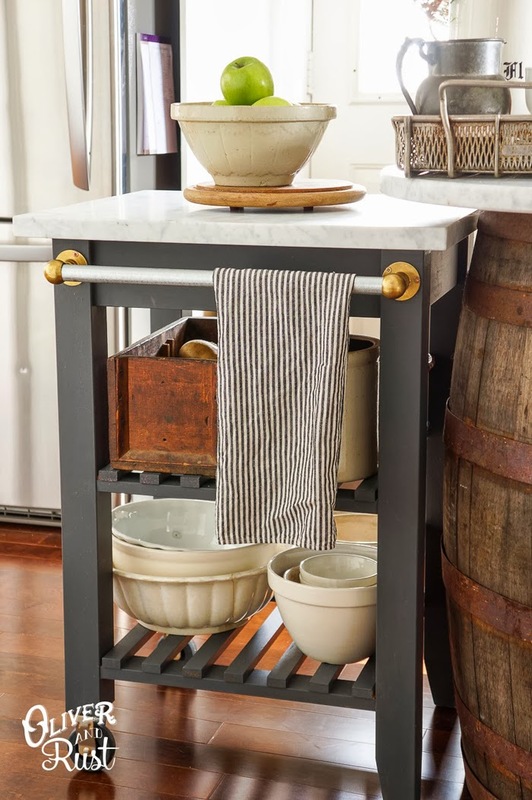 The Bekvam kitchen cart gets an amazing makeover by Oliver and Rust. 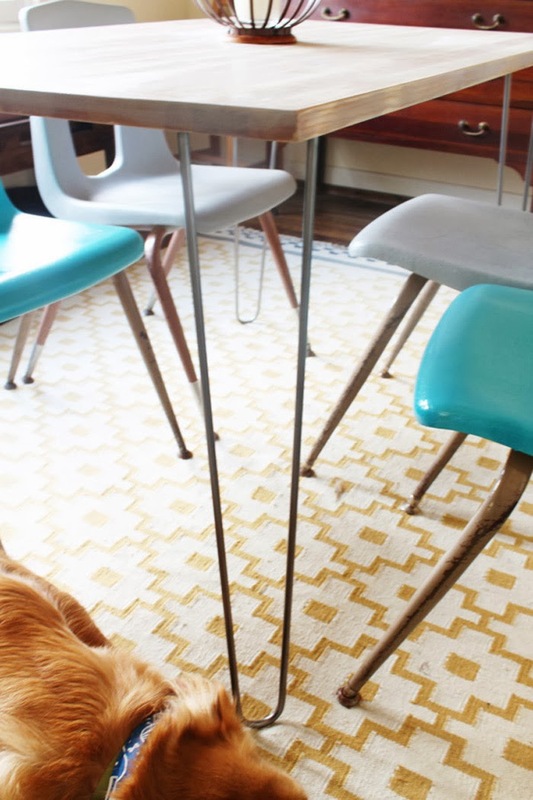 The JOKKMOKK table gets a mid-century-style update with a few adjustments and new hairpin legs. From Actue Designs. 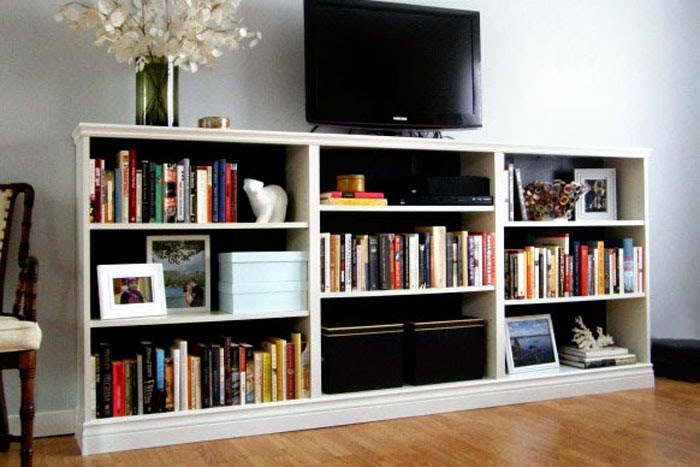 By adding a chair rail and crown molding, BILLY bookcases look custom made. Get the details at House Pretty Blog. 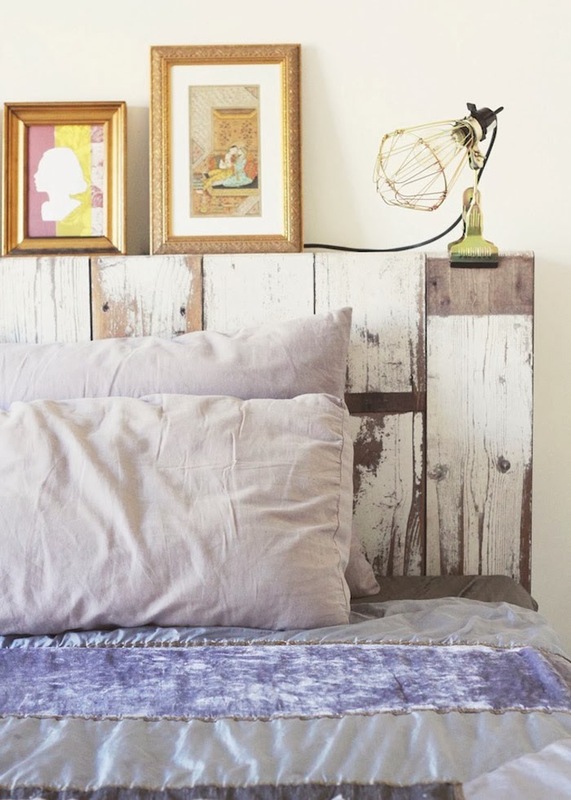 A BRiMNES bed gets the wallpaper treatment, Piet Hein Eek style. From Currystrumpet. 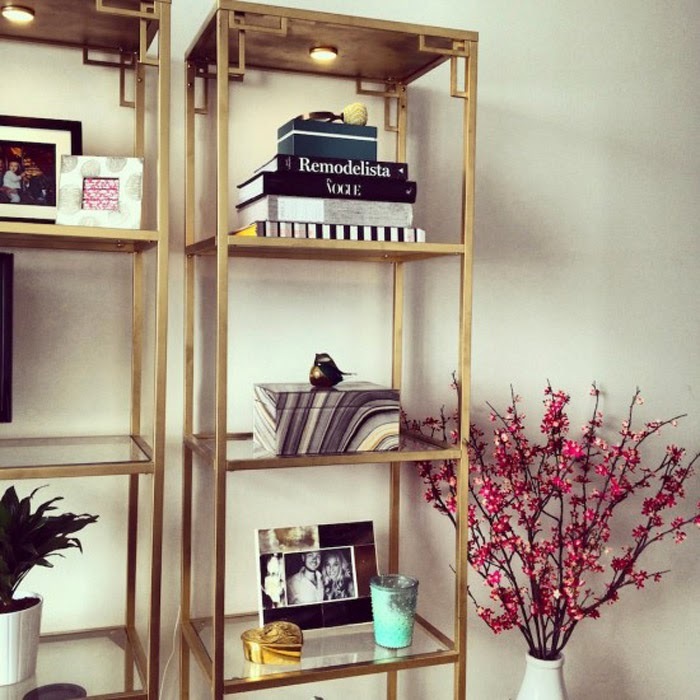 Shelves are spray painted gold, and embellished with Metrik door handles in each corner. More info at IKEA Hackers. A FRACK mirror gets connected in this project from Yellow Brick Home. What fun hacks. I am excited to try some of these!